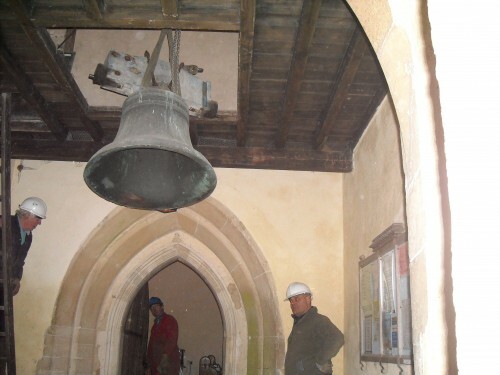 On Monday 25th February 2013 work started to remove the six bells from the tower. Allan Brittan from Nicholson Engineering led the team of volunteers who worked hard in very cold conditions.They had to overcome a few problems as the old frame restricted the space they had to get the bells out. 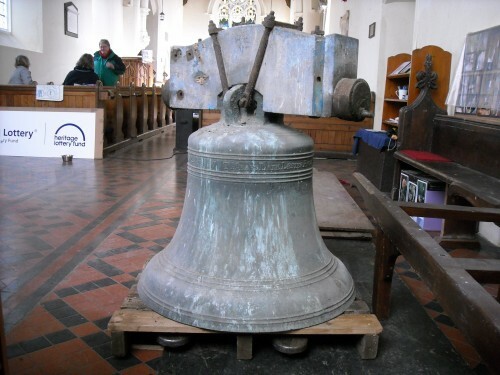 The two lorries were booked for Wednesday to take the bells away and by Tuesday evening they had only managed to get two bells down! 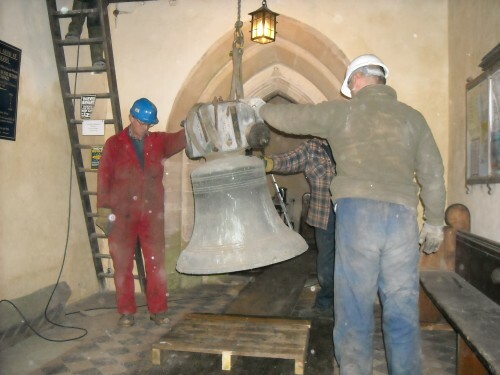 Once the 12cwt tenor bell was down they had more room to work and by Wednesday afternoon all the bells were on the ground. Three of them were cracked and were taken to Soundweld to be repaired. 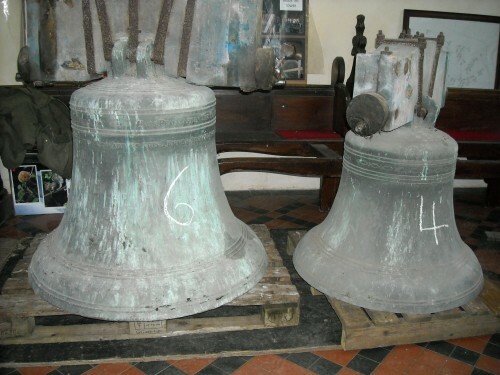 They then joined the other three to be tuned at Whitechapel Bell Foundry in London. After being tuned they went Nicholsons in Bridport for fitting into the new frame. 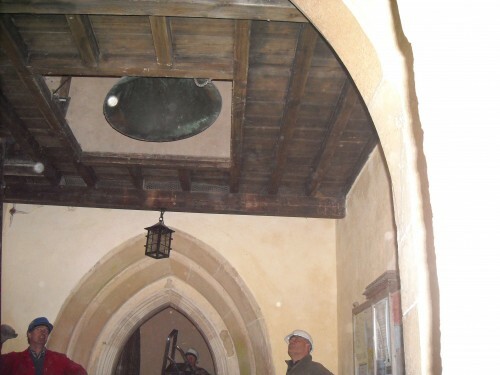 The frame was then dismantled and came to Clopton to be installed in the tower with the bells.